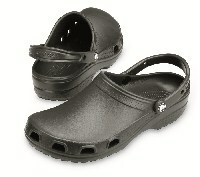 The Crocs Rx Division of Crocs has just released their new lineup for Spring 2010. The Crocs Silver Relief and the Crocs Silver Cloud 2. The new Crocs are just as comfy as the other Crocs Rx footwear and have new features that benefit anyone who loves Crocs. The Crocs Silver Relief is an update to the Crocs Relief which is touted as being the most comfortable pair of crocs you’ll ever wear. The Crocs Relief is ideal for arthritis, plantar fasciitis arch pain, heel spurs, swollen/achy feet & bunions. The Silver Relief has all the benefits of the Crocs Relief but is now made from croslite Ag+™ material, making the silver relief model anti-bacterial, anti-fungal, and odor resistant. APMA accepted & carries the united states ergonomics endorsement. Made from croslite Ag+™ material, making the silver relief model anti-bacterial, anti-fungal, and odor resistant. 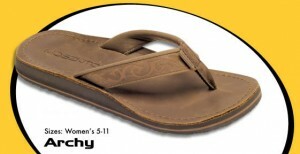 Enhanced footbed for improved comfort. Shock-absorbing sole relives stress on feet, knees, hips & lower back. Roomy forefoot allows comfortable fite with no pressure points, relieving discomfort from bunions & other foot irregularities. Anatomically designed sole provides comfortable relief. Ultra-soft toe box provides natural forefoot break. Side air portals keep feet cool & dry. Superior grip & non-marking soles. The Crocs Rx Silver Cloud is ideal for diabetic feet, impaired circulation & impaired sensation. New for 2010 is the Silver Cloud 2 featuring whole sizes. This makes it much easier to fit all shoe sizes. The Silver Cloud is US ergonimics certified to reduce muscle & leg fatigue. Wide toe box eliminates pressure points on sensitive feet. A protective toecap protects sensitive forefoot against stubs and bruising. Elevated heel rim secures fit of shoe on foot. Super soft and shock-absorbing footbed, anti-microbial and odor-resistant, creates a healthy foot environment. Convertible strap can be worn up or down. Soft sole relieves pressure on feet, smooth inner sole. Purchase the CrocsRx Silver Relief – Silver Cloud at the Orthotic Shop with free priority shipping and great prices. 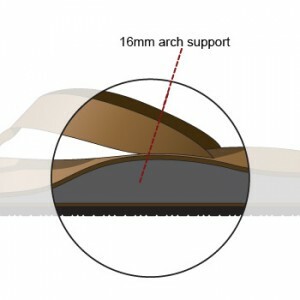 There are many different types of products available that provide arch support. Products include custom made orthotics, over-the-counter orthotics, and there is a special line of Crocs called CrocsRx that have arch support. There are even flip-flops made by a small and upcoming company named Moszkito that have arch support build into them. This article will look at some of the traditional arch supports as well as the new footwear that provides the arch support you need without the bulkiness of having to wear a shoe. Why do you need arch support? There are many reasons for wearing arch supports. The most prominent reason is to abolish arch pain. When you don’t have enough support under the arch, the tendon that supports the arch can collapse from walking, running or just standing on your feet. This collapse can inflame the tendon leading to a condition called Plantar fasciitis. Plantar fasciitis is a painful inflammatory condition of the foot caused by excessive wear to the plantar fascia that supports the arch or by biomechanical faults that cause abnormal pronation. The pain usually is felt on the underside of the heel, and is often most intense with the first steps of the day. It is commonly associated with long periods of standing on your feet or by sudden changes in weight bearing or activity. Obesity, weight gain, jobs that require a lot of walking on hard surfaces, shoes with little or no arch support, and inactivity are also factors associated with the condition. Below is a review of products that provide Arch Support. Custom Orthotics provide the best arch support since they are custom molded to your feet. Custom Orthotics are made by taking an impression or scan of your foot. The orthotics lab uses the foot impression to manufacture the orthotic that fits your feet. The process is well thought out and the workmanship is top notch. So if you are looking for custom orthotics we highly recommend The Orthotic Shop. There are several over the counter orthotics. We found that the Amfit CustomSelect Orthotics ones work well. Using an interactive tool that asks for your gender, shoe size and arch height it gives you a model number that will work for your feet. There are approximately 80 different models of CustomSelect orthotics, so it is the closest thing next to custom. The Amfit CustomSelect Orthotics have many advanced features that are usually found in custom orthotics. One such feature is the X-static Silver lined topcover. The silver provides anti-bacterial properties that help keep down foot odors and keep your feet healthy. Another Over the Counter Orthotic that we like is the Lynco Orthotics made by Aetrex. Lynco orthotics have several models available as well. These different models focus around the type of shoes and activities you plan on using them in, for example there are orthotics for diabetics, dress shoes, general sports, casual use, and golfing. For each activity there are models that are designed for low, medium, & high arches and models that have metatarsal pads, which provide additional cushioning at the ball of the feet. Several new types of footwear are now available that let you enjoy your favorite activities without the bulk of extra-depth walking or dress shoes. Below the Crocs RX comfort clogs and the Moszkito flip flops are presented. Usually flip-flops are not recommended to those seeking arch support so Crocs came out with special molded foam clogs made under their CrocsRx line, which have been approved by the American Podiatric Medical Association and United States Ergonomics as a healthy alternative to flip-flops. These Crocs are made specifically for people who are on their feet all day and provide many benefits. Most important is the shock absorbing properties that minimize load on feet, lower legs, knees, hips, and lower back. The Crocs Rx line is available in many colors to suit different personalities. People with Arch Pain should typically avoid open-back shoes, sandals, “flip-flops,” and any shoes without raised heels. Moszkito came out with flip flops to address that concern. Moszkito Flip Flops have built-in arch support! They come in many styles and colors as well so it is easy to find a style that suits your needs. Wear them all day and into the night. You will love them!